Thrilled to be the Editor of this year’s edition! 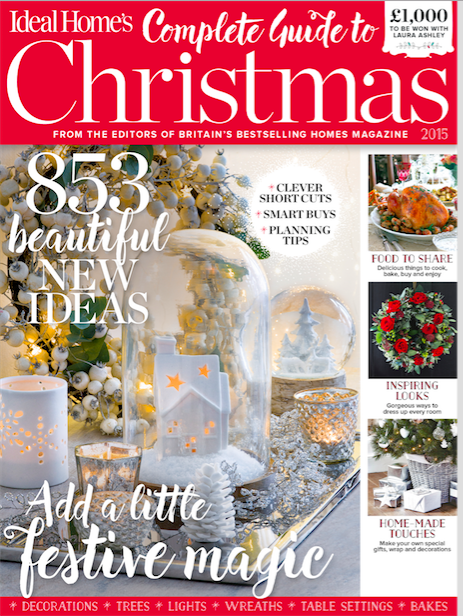 It’s on sale now at all good newsagents and supermarkets. Buy it! 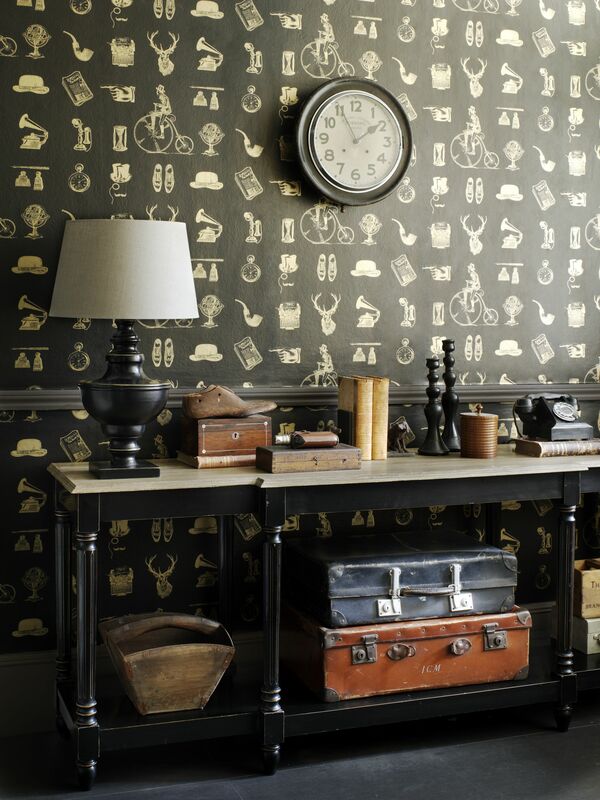 I’m doing up my new (old) house and my mood boards are very much Hollywood Regency/1930s Glamour inspired. Working them into a 400 year old house isn’t as weird (or wrong) as it sounds, as I want to make it as light and bright and modern as possible. Take two or three eras i.e. Regency, 1930s, and Modern and they work so well together. 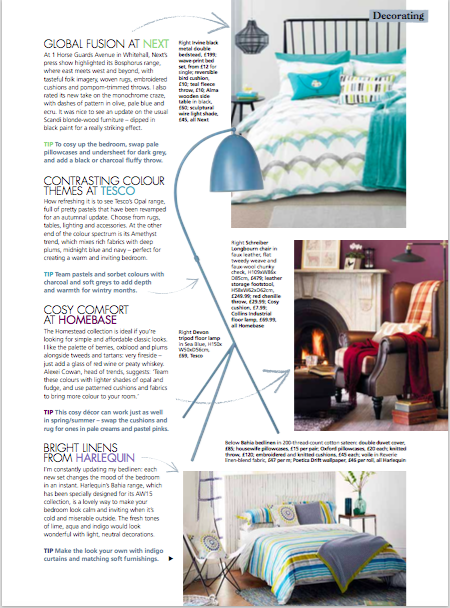 The key is keeping the colour palette simple. 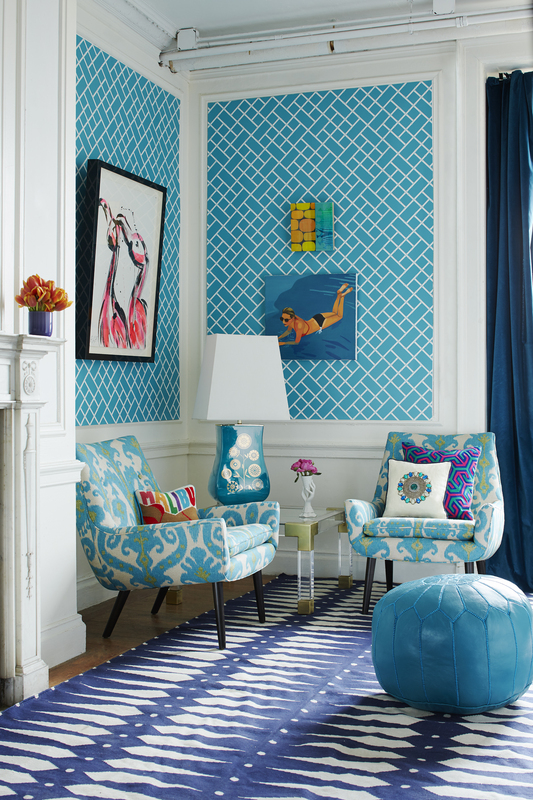 US designer Jonathan Adler does it brilliantly. 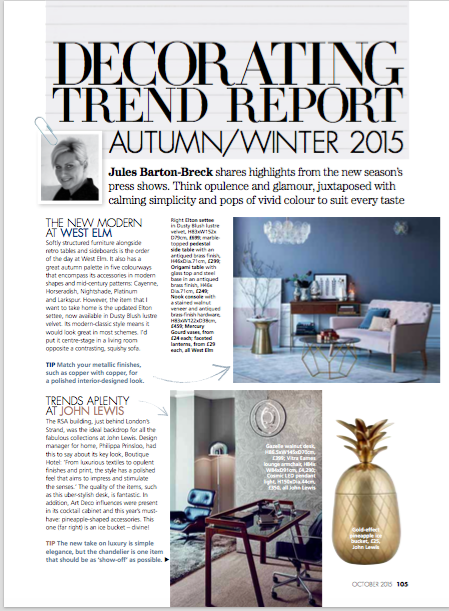 See my A/W15 Trends Report in the upcoming October issue of Real Homes magazine. Tut tut, it’s been a few months since I last posted my recommendations (blame a time-consuming move to a 400 year old house in the country! 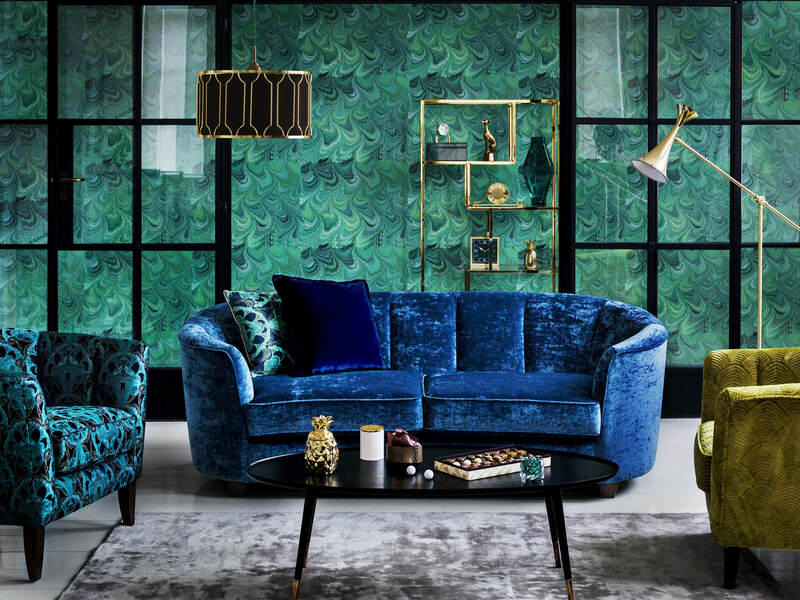 ), but I think this amazing image from the new collection at M&S was worth waiting for. 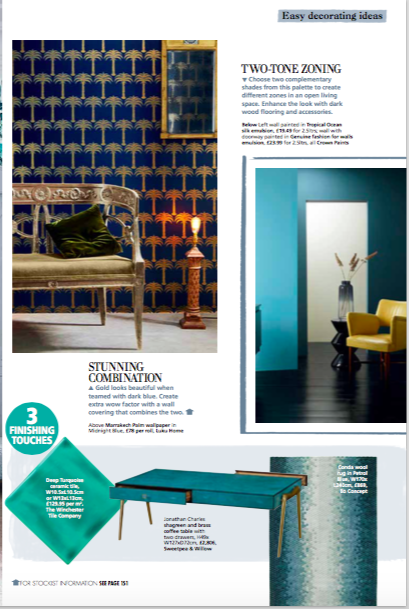 Art Deco style, peacock colour palette, lots of metallics, pineapple objet d’art – it’s the trend in interiors right now, and I just love it. 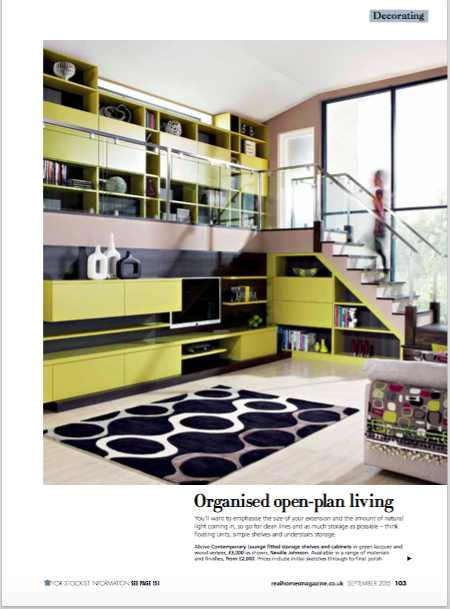 What do you think, could it work in your home? 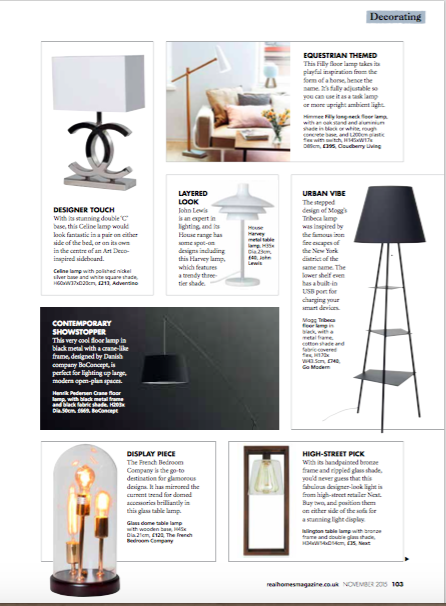 Check out the rest of my interiors trend predictions in the October issue of Real Homes magazine. 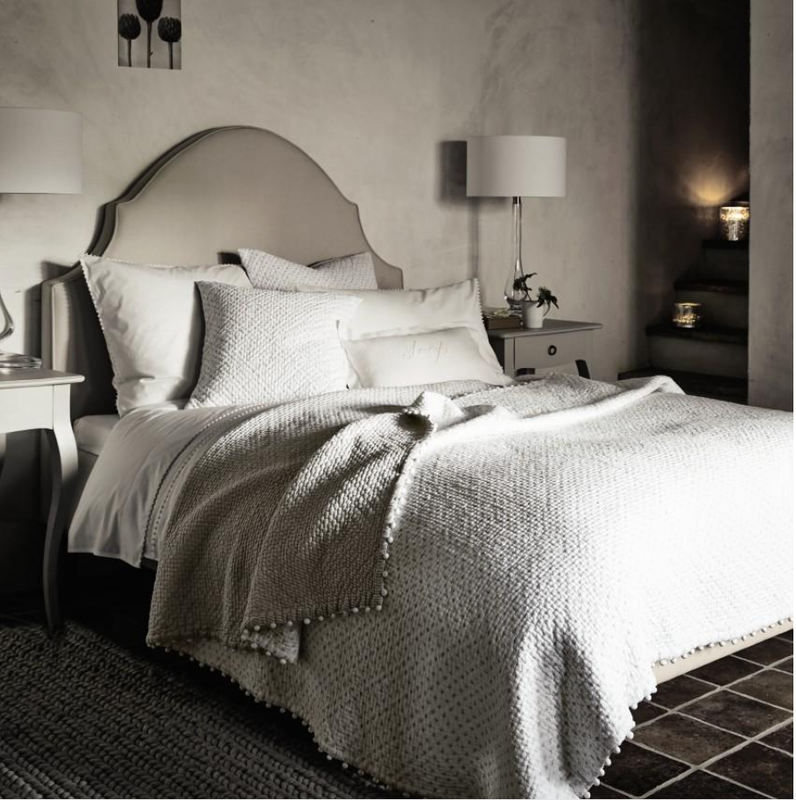 Cosy and white aren’t two words I’d usually put together when it comes to bed linen, but this rather indulgent set from The White Company proves me wrong. I love the texture of the different fabrics, the way they’re mixed in with taupe, and the must-have soft furnishings accessory for 2015 – the pom-pom trim! They’re all from the new Spring/Summer 2015 range. Price for the Brittany Collection Quilt starts from £180; from £35 for the Brittany Collection Cushion Covers; from £45 for the Avignon Collection Duvet Cover. 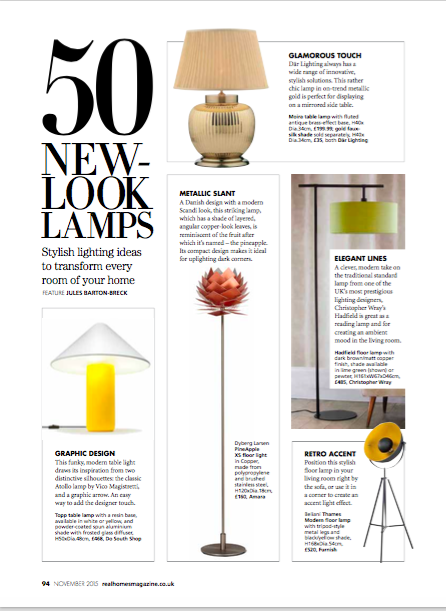 Doing research for my Stylish New Looks for Lighting feature for Real Homes magazine (February issue, out now) I was reminded how important it is to choose the right type of lighting for every room: task – focused lighting such as a desk lamp or overhead for kitchens; accent – to highlight certain features or areas such as a painting; ambient – to create a mood and feeling of a room. 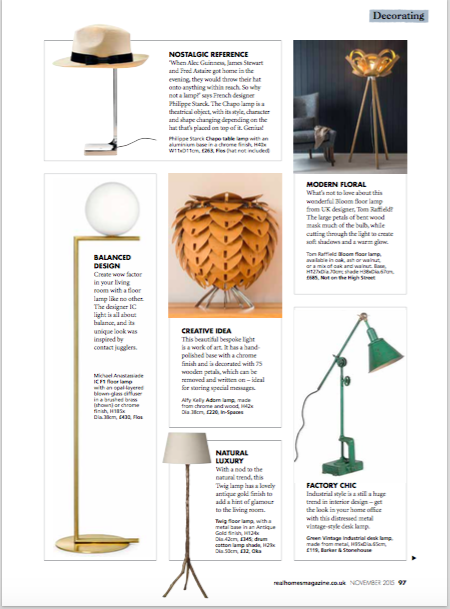 This rather chic ambient Devon Floor Lamp from John Lewis would look amazing in any room at this time of year. It’s yours for £130. 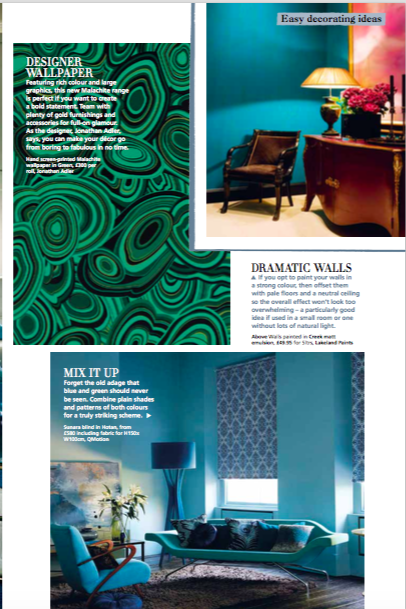 The trend for eccentric wallpapers is huge this year in interiors – but not just for feature walls (so early Noughties). 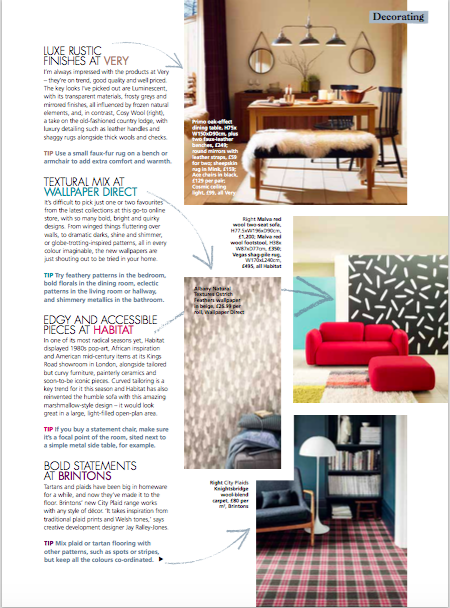 Instead I love the look on two, three or all walls (even put wallpaper on the ceiling if you keep the walls in a matching paint colour). 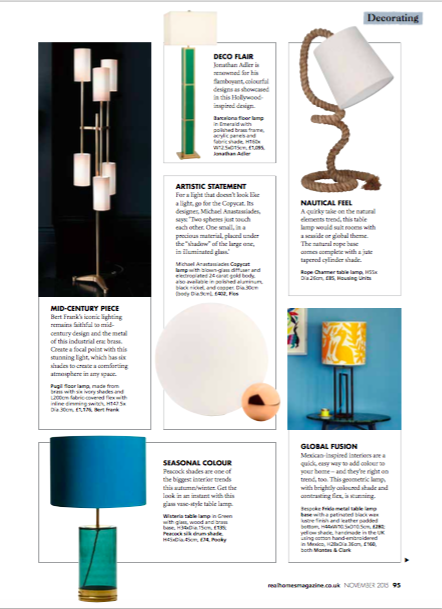 Two of my favourites are from The Graduate Collection which showcases products from exciting new designers coming out of UK universities. 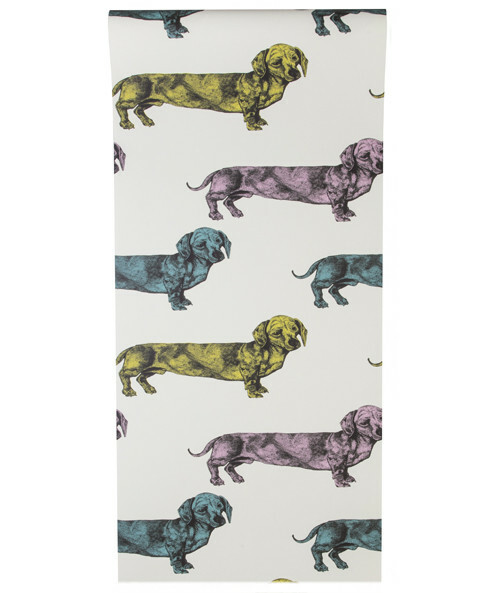 The Dachshund wallpaper would be perfect in a hallway, boot room or similar small space; while the Marie Antoinette design would look great in a bedroom, large bathroom or dining room (look closely, and you’ll see how quirky/eccentric it is!). I think they’re genius. When I was working on photo shoots alongside food stylists and photographers there were many behind-the-scenes tricks I learnt: one of the most important being – what colour/style plates with which food? The big no-no is dark blue plates with meat of any kind, as it makes it look cold and unappetising. 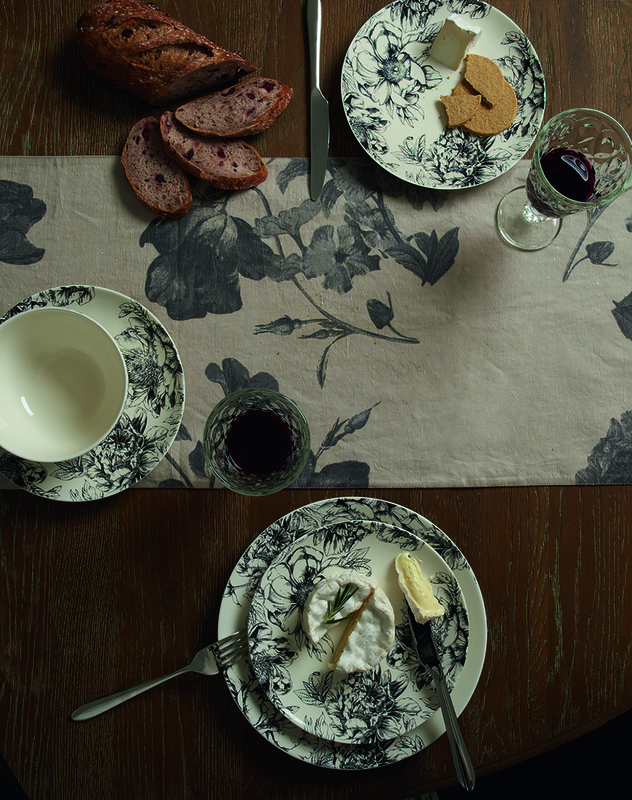 Luckily, my favourite colour way crockery – black and white – looks good with everything, so I’m loving these gorgeous little Etched Peony gems from M&S. Prices start from £5 for a side plate. 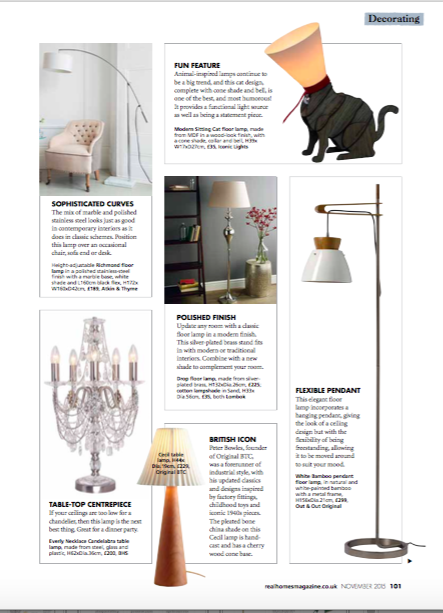 Grand, glam, baroque, quirky or kitsch – that’s what I love about the products from The French Bedroom Company. 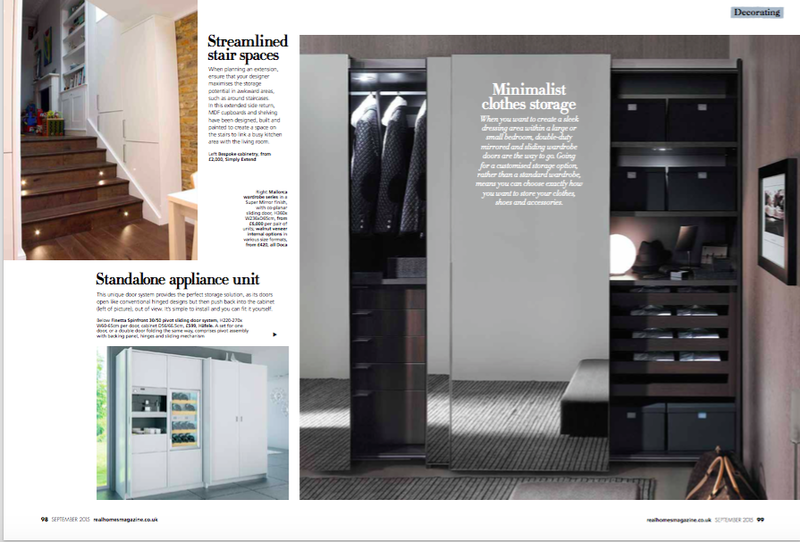 Although it mainly focuses on stuff for the bedroom, I could fill every room in my house with their items. 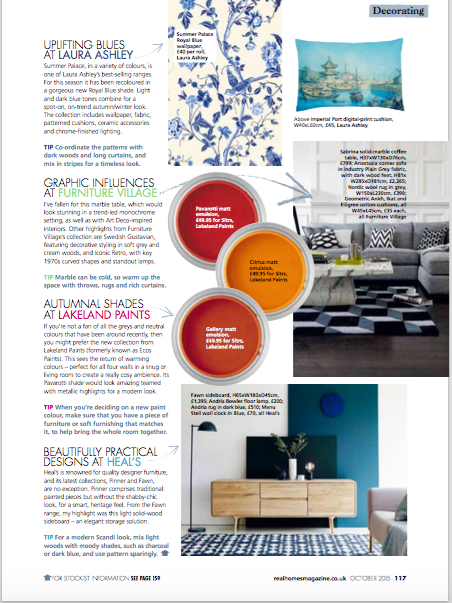 As an interiors obsessive, I think there should always be statement pieces and conversation-starters to add some fun to one’s decor scheme. 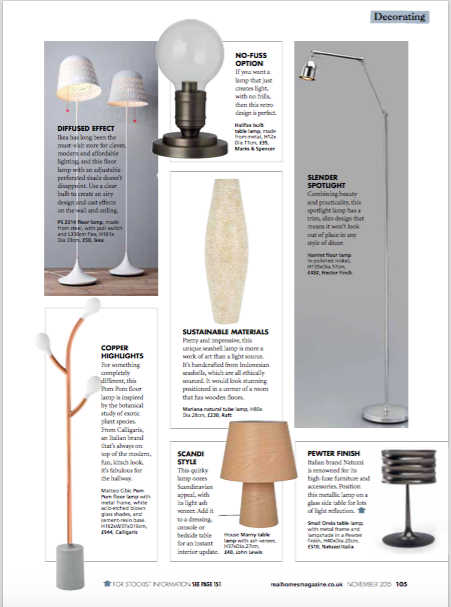 These favourite five do the job perfectly. 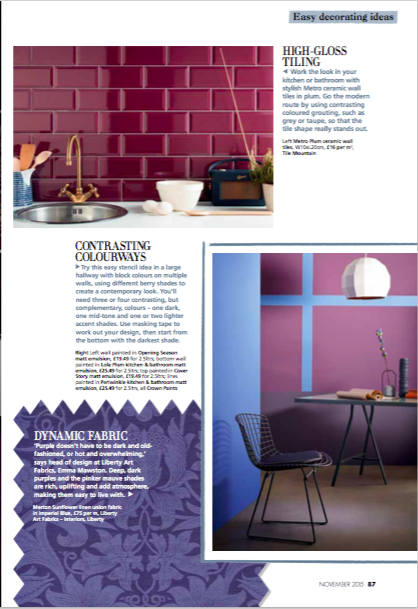 I’ve always gone the paint and tile route in the kitchen, but viewing the latest offerings at the Autumn/Winter 2014 press shows a few weeks ago, I was surprised to see so many wallpapers being showcased dans le cuisine. 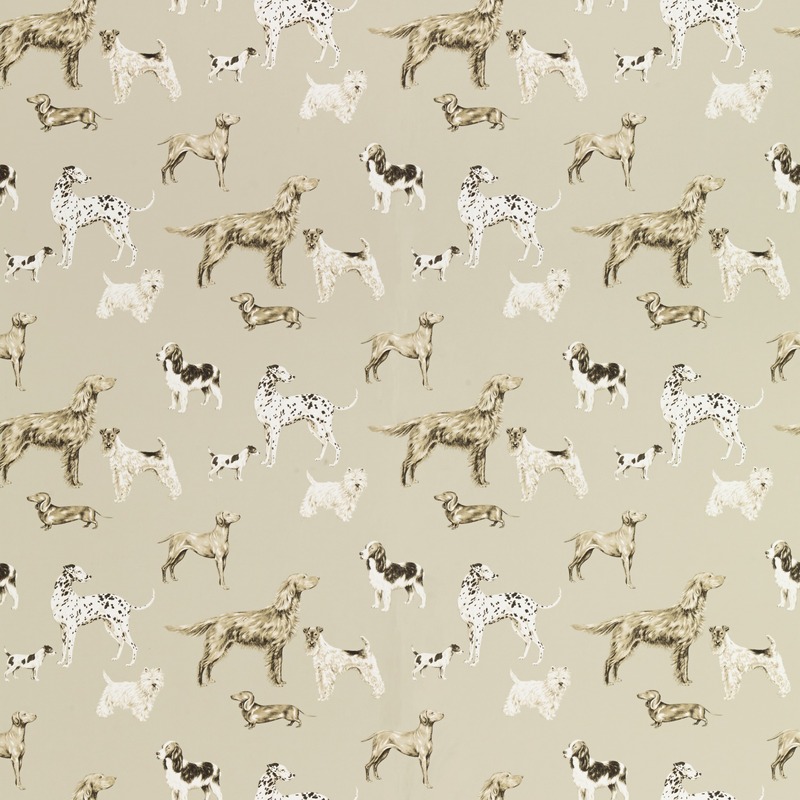 One of my faves, being a major fan of the unsurpassable Dachshund, was this rather country-cool Hunterhill number from Laura Ashley – certainly makes waiting for the kettle to boil a bit more fun! £39.90 per roll. 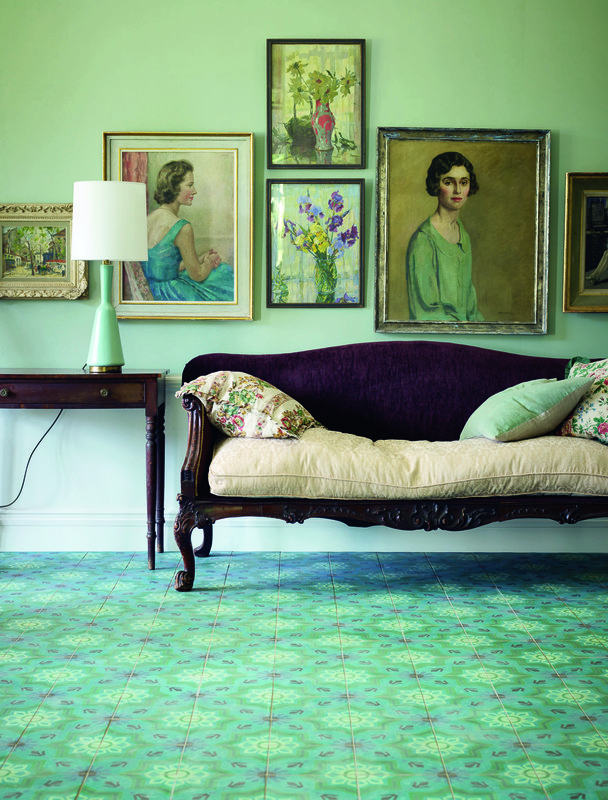 I’ve fallen in love with these Valletta tiles in Carmelo, from Fired Earth. They’ve got that wonderful vintage feel about them with the added bonus of Mediterranean colours. 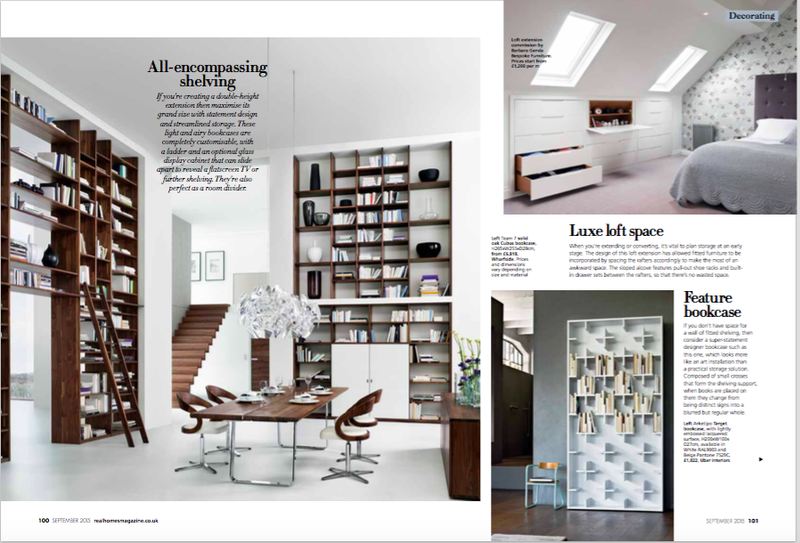 Great in a dining room, large hallway or open plan space – and fabulous with the decor in this beautiful photo (adore the picture gallery) or with a more contemporary-designed home. Handmade encaustic tiles, 20 x 20cm, £8.99 each or £224.70 per sq/m. 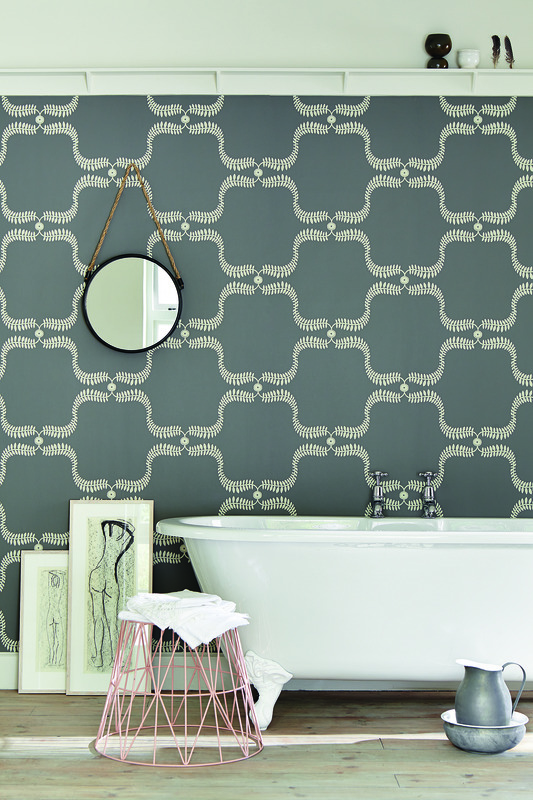 Mix together a beautiful soft grey palette with a delicate, modern/retro pattern and a hard-wearing finish – and you end up with this rather divine wallpaper from Vanessa Arbuthnott, which is just perfect for bathrooms, both period and contemporary. 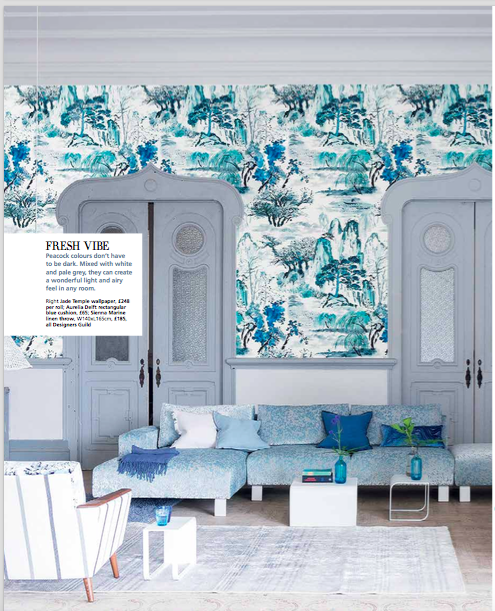 It’s called Up The Garden Path – just imagine how many hours you can while away, glass of fizz in hand, following the pattern around the room, as the water grows chillier and chillier! 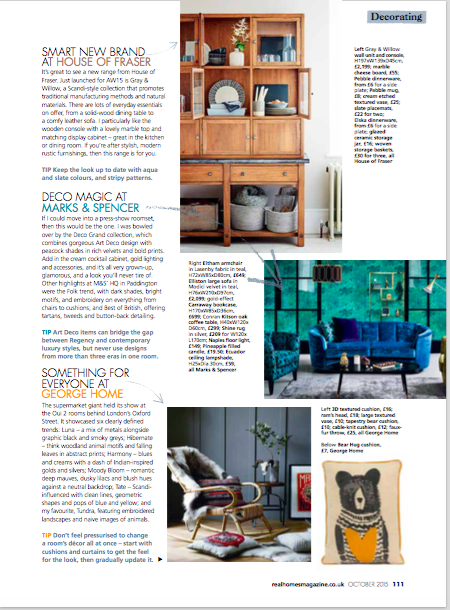 I’ve just been writing a feature about all the new wall looks and trends for every room in the home, and I really can’t believe how much amazing stuff is out there. I need at least 50 rooms to try out each one! 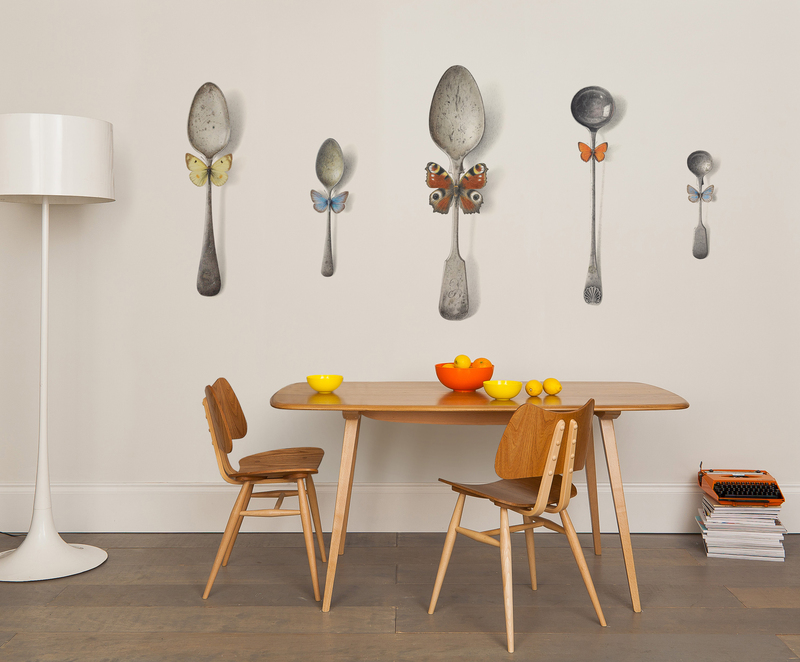 A sneak preview of my feature includes the Dandy Spoons with Butterfly Bow Ties wall mural from Surface View. West Elm is a really clever and very stylish homes shop that came over from the US a couple of years ago, and it’s products are available at it’s London flagship store and online at westelm.com. 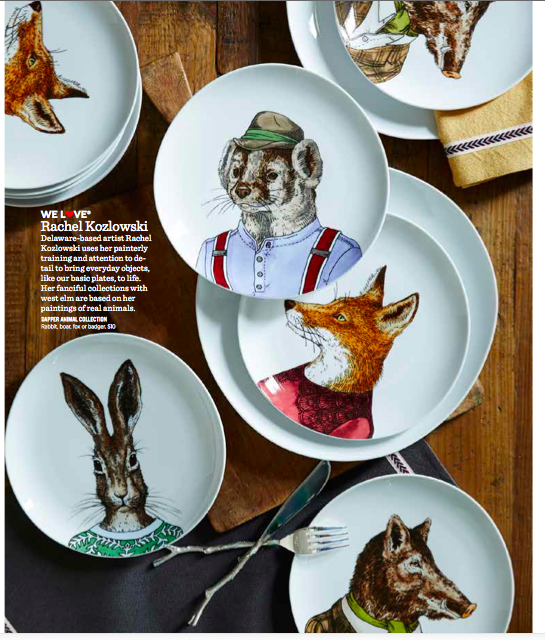 Amongst the many exciting ideas and lifestyle options, are these absolutely adorable dinner plates from designer Rachel Kozlowski, £9 each. Bagsy the Badger! 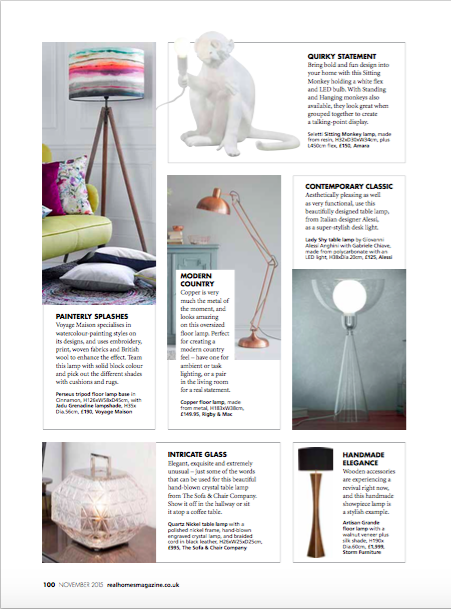 Abigail Ahern has long been a favourite designer of mine – fun, quirky and moody pieces that fit into any home decor. 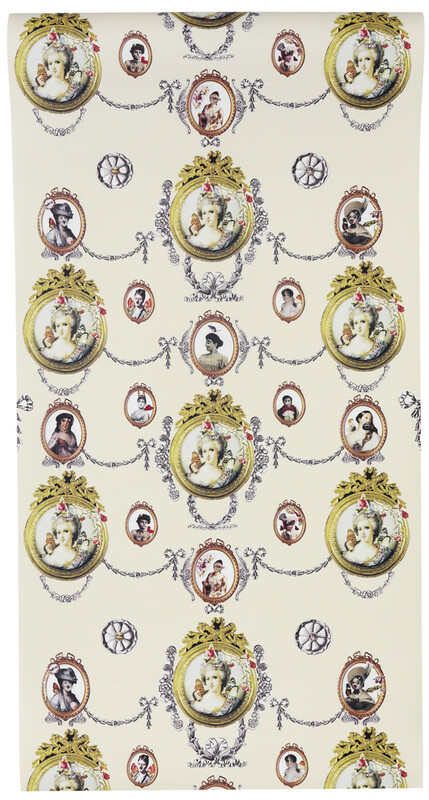 Since she collaborated with Debenhams her pieces have become accessible to the masses. 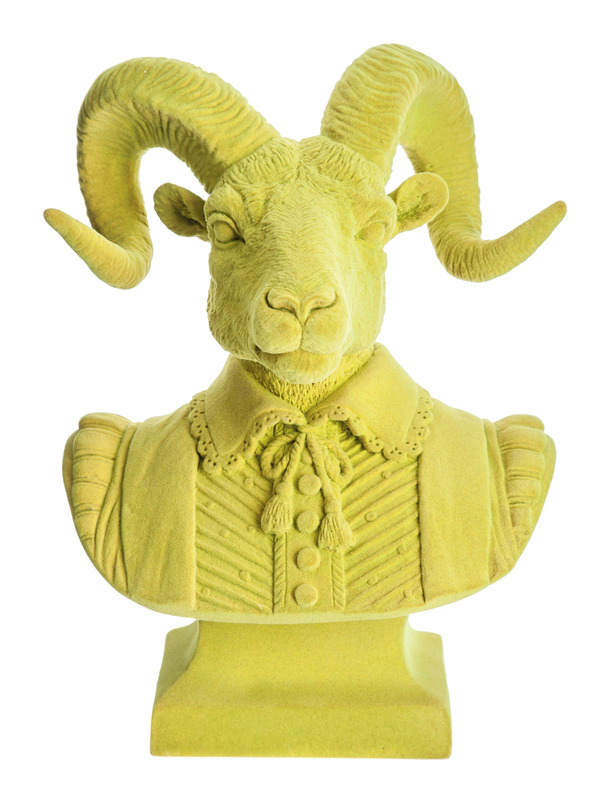 This I-Love-It-Must-Have-It Ram’s Bust Head from her new AW/14 collection will soon be winging (or should that be gambolling?!) on to my sideboard. At £85 – it’s a done deal. Baaah! Yes, I know it’s too hot to be covered up with duvets etc right now, but soon as the chill starts in a few months, this is the bedding I want. Who’d have thunk it’s from good old M&S. Sophisticated, elegant, and cheap-ish, too. 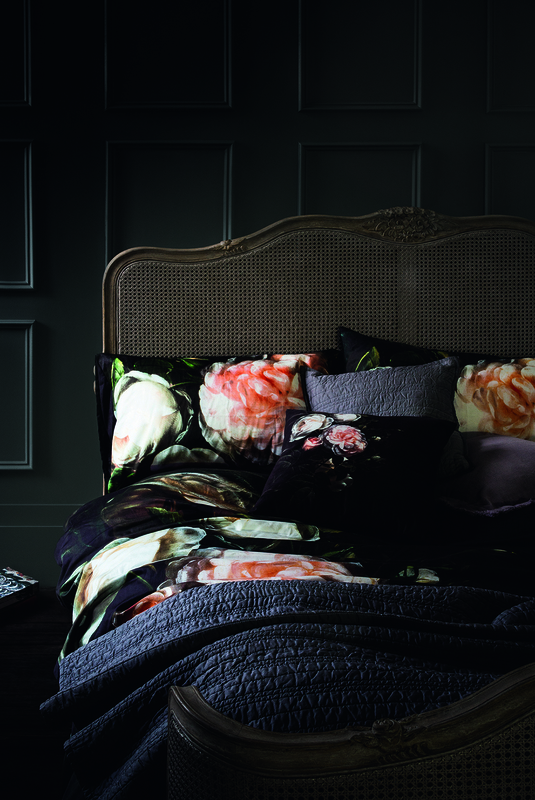 Prices for the Floral Feast bed set start from a v reasonable £59. No deckchairs for me please. 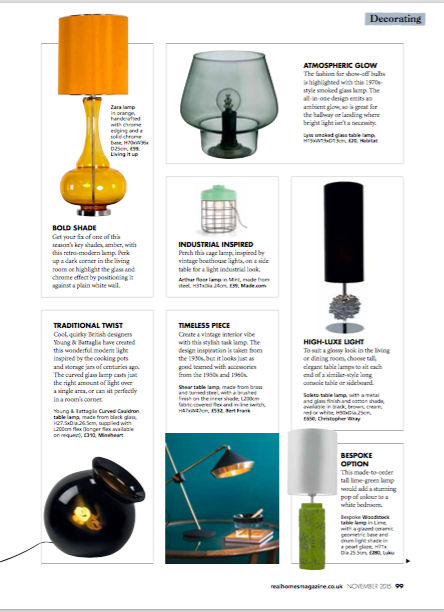 Love their Britishness, their retro cool but cor-blimey they really hurt my back! 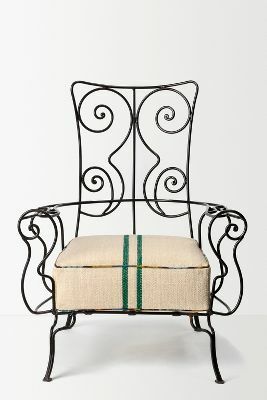 Instead I’ve found this rather fantabulous garden chair from Anthropologie. Currently it’s called the Astrid Garden Chair, however in my garden it’s now renamed The Jules Chair. £698, but it will be around for decades to come. 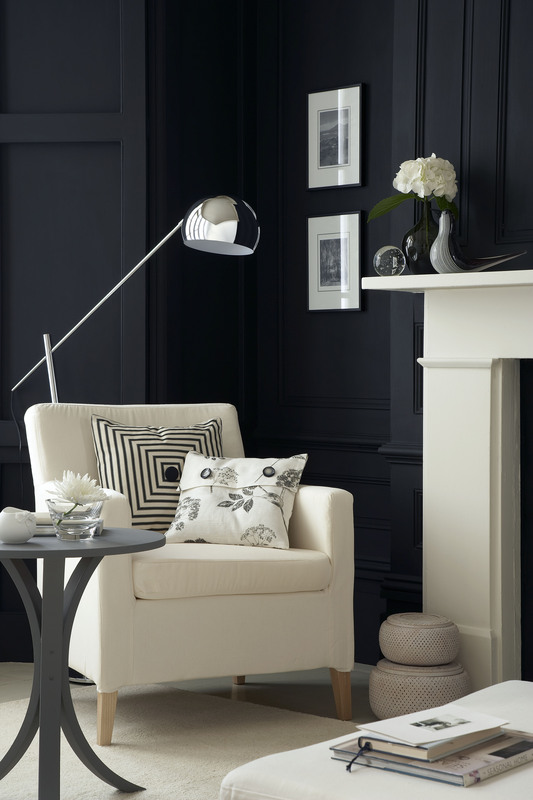 Another effortlessly fabulous interior look is black. 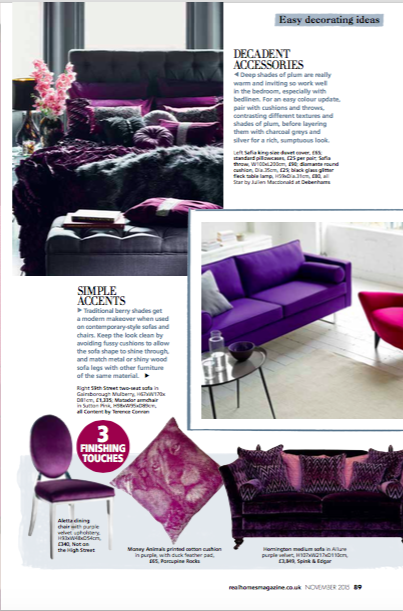 For that moody, Period/Contemporary colour scheme then I’d definitely go for the dark side. If only my cottage had high ceilings, big rooms etc etc… I’d be painting the lounge or dining room in this magnificent paint shade. 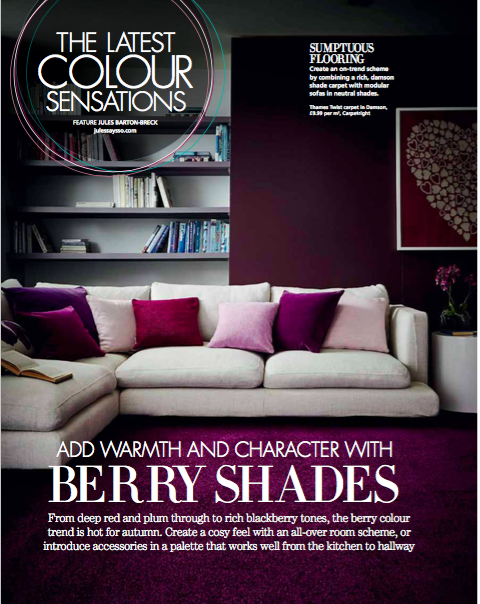 It’s Little Greene’s Jack Black (119) Absolute Matt . 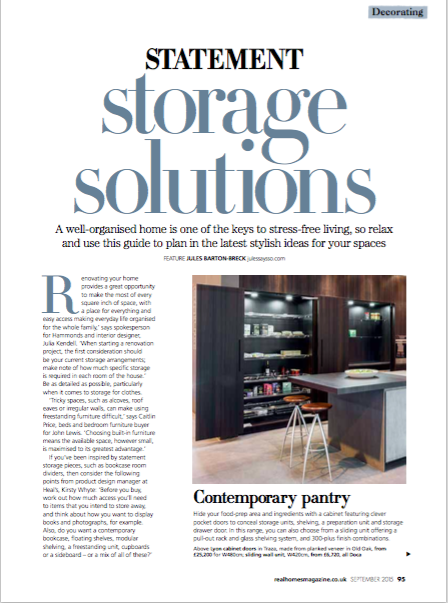 Out and about in London recently attending various Homes/Interiors Press Events, which showcase all that’s new, trending, and sometimes fabulous, for Autumn Winter 2014. 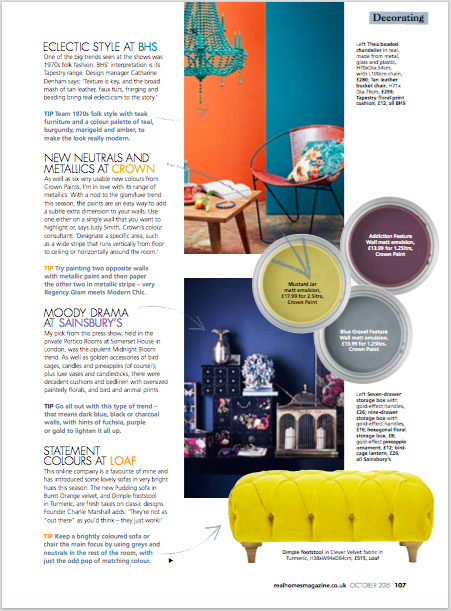 First of my favourites is the hot trend for Moody Blues – from cobalt to indigo, it’s on walls, furnishings and accessories. This divine picture comes courtesy of Sainsbury’s – yes, believe it! 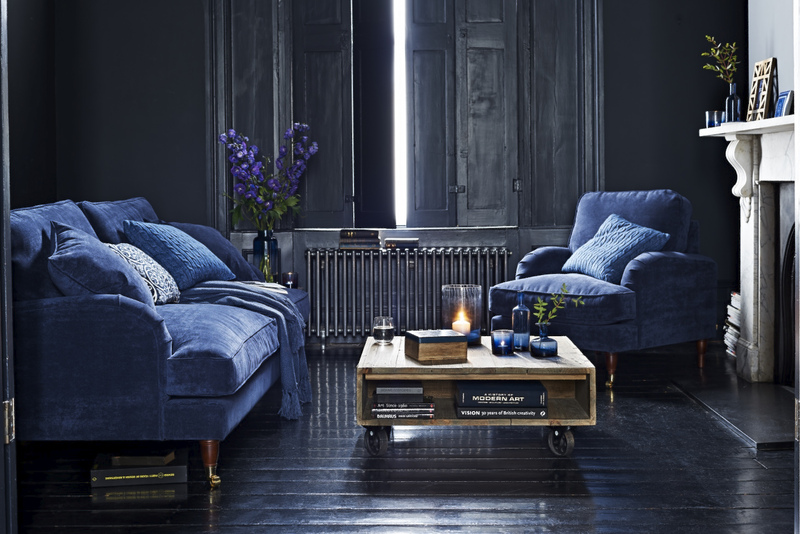 The Verona two-seater sofa costs £499. 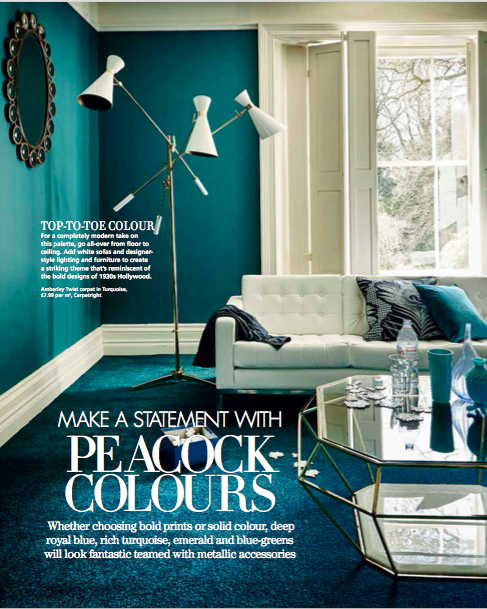 When it comes to interiors, they shouldn’t always be matchy-matchy, serious or sensible. Which is why I absolutely love this new piece of wall art by Czar Catstick at Art Finder. 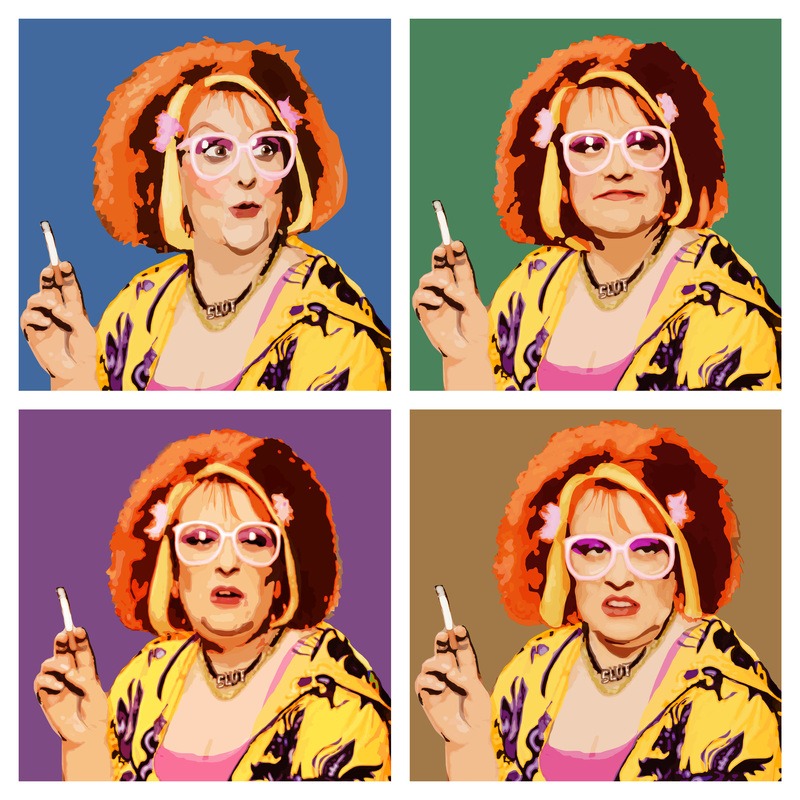 Called ‘The Auburn Jerry Hall, 2015 – Lowbrow’, it’s a pop art of Kathy Burke aka Linda La Hughes from the TV sitcom Gimme Gimme Gimme. Hang it in the hallway, the bathroom or anywhere to bring a smile to one’s face. 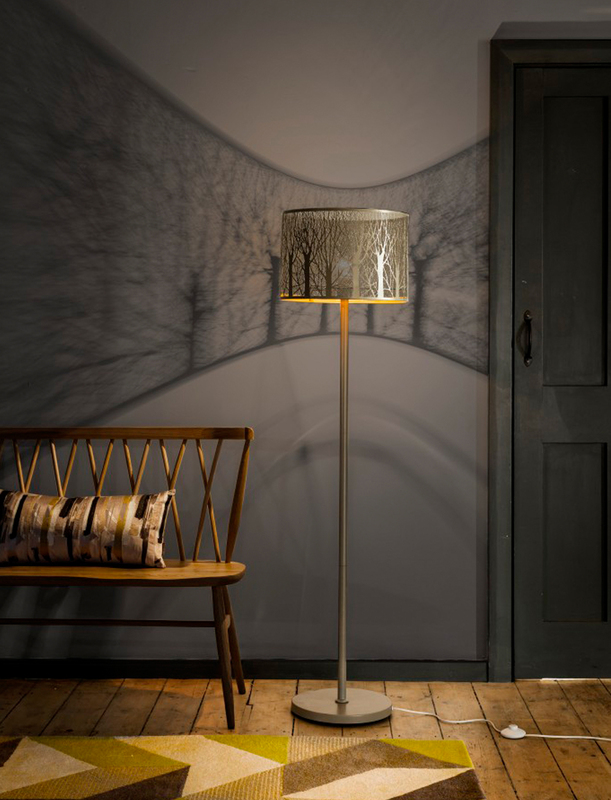 It’s £240 and a limited edition of 20, so hurry hurry hurry! 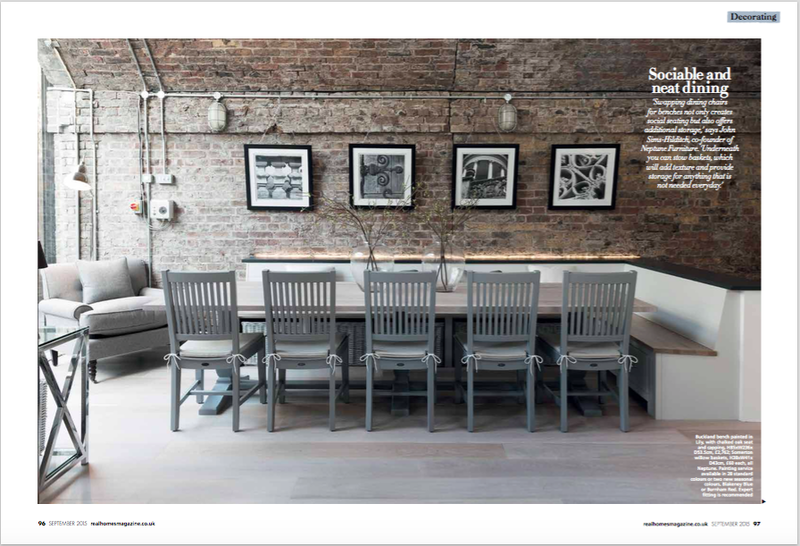 Picture the scene – you’re in a chi-chi lounge bar, all moody lights, shimmery dècor, classy nibbles on the super shiny table and a frosty cocktail in hand (actually it’s your living room, but…!) 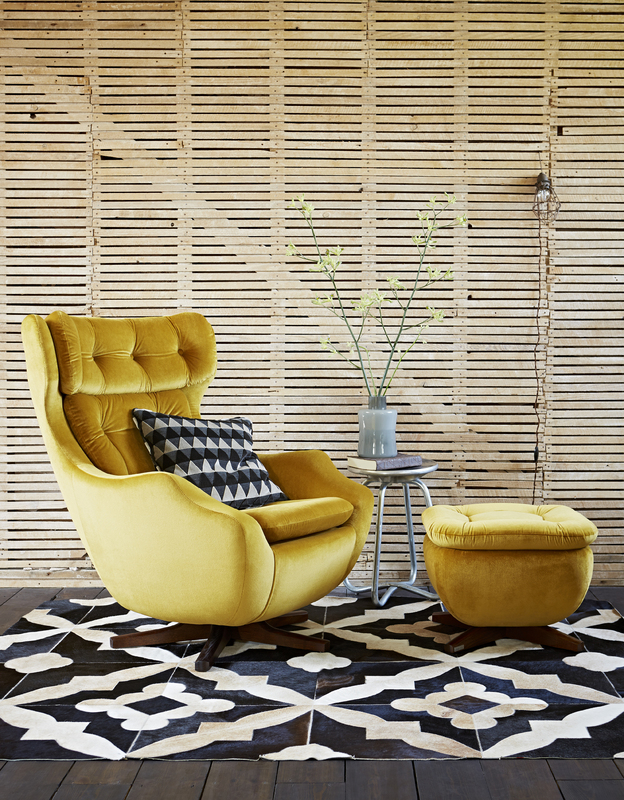 To finish the look you need a rather fabulous and elegant chair to sit in: enter the Twiggy! 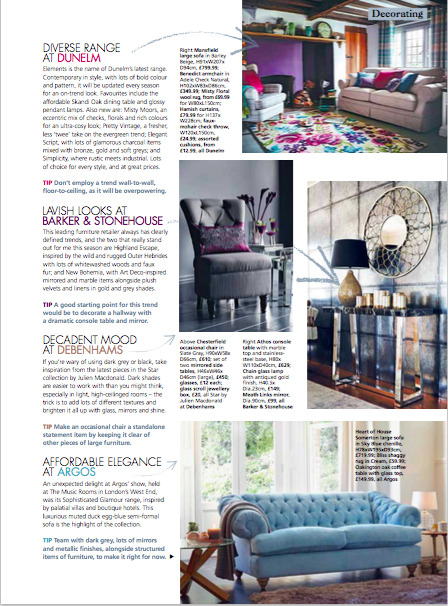 This investment dining or occasional chair has a quilted leather back and trim teamed with sumptuous fabric seat and arms, both of which you can customise to your choice – how decadent. 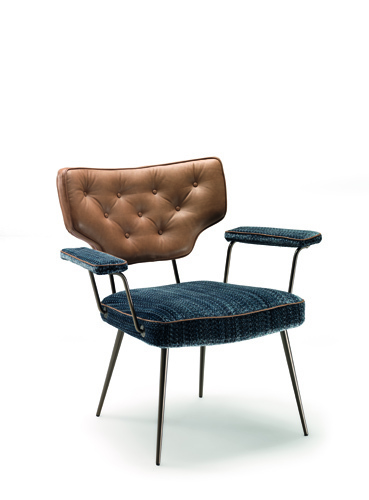 The Twiggy Chair, £1970 from Urban Living Interiors. I hate coats hanging up in the hallway gathering dust, falling down and getting in the way. I was so pleased to find this stunning solution from one of my favourite brands, Ibride. One moment it’s a full-length piece of artwork, the next it opens up to reveal shoes and coats. 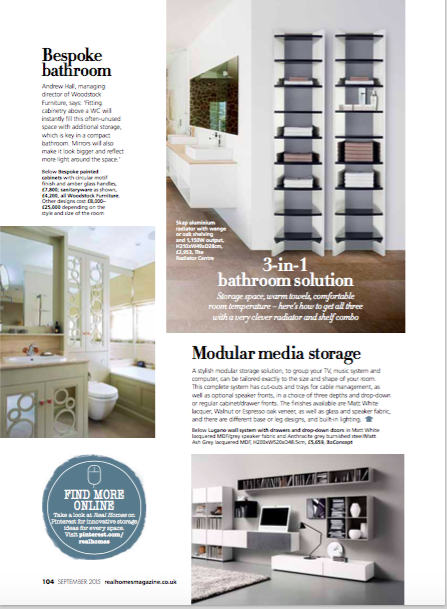 Although it’s not cheap at £899 (!) I think it’s genius! 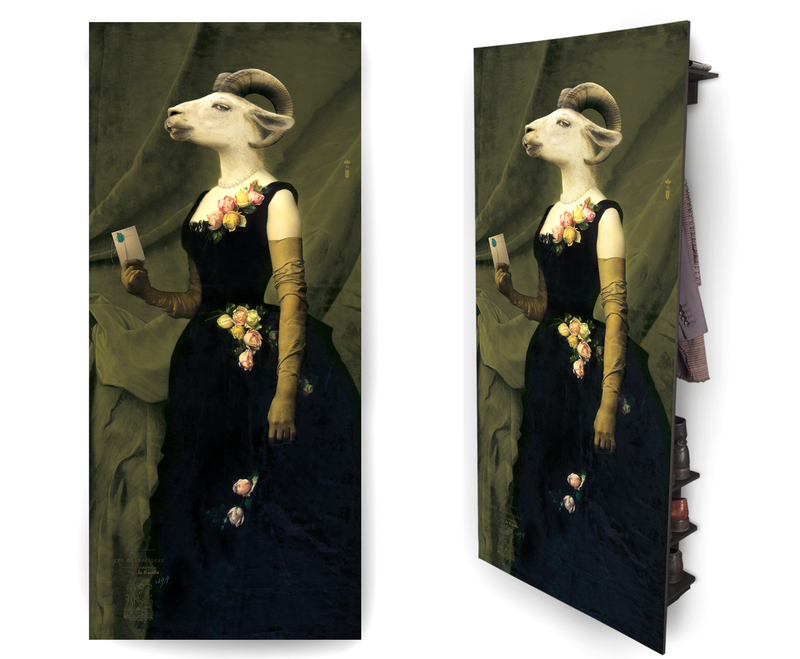 The Les Valets Wall Wardrobe, Rosalba from Ibride Dandy Collection is available from House Junkie.